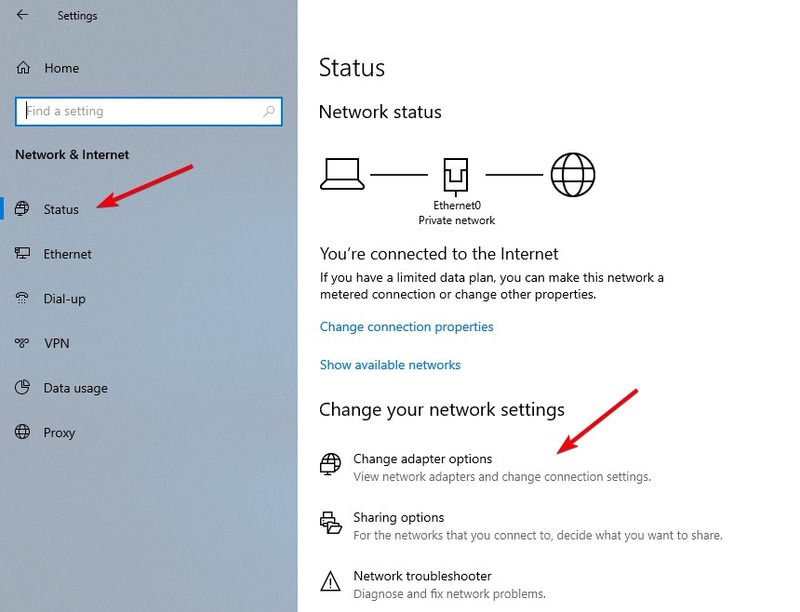 If you have both Wi-Fi and Ethernet, you might have noticed that Windows automatically switches to Ethernet when connected. This happens because of the automatic network priority that Windows assigns to all its network adapters. Generally, this is good. 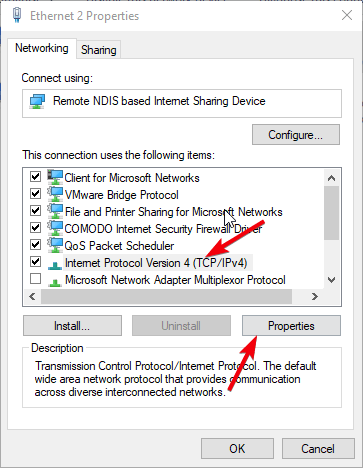 However, if want to force a particular network over the other, then you are forced to disable the other network adapter. For instance, when there is a problem with the broadband connection, I try to use mobile data via USB tethering. 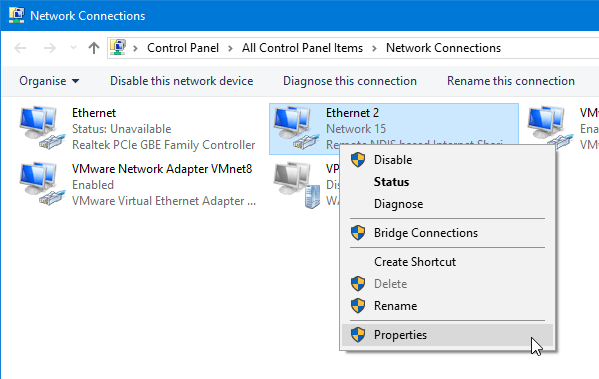 However, most of the time Windows refuses to use the new connection due to its lower priority when compared to the regular desktop Ethernet adapter. To fix the issue, I have to change the network priority. 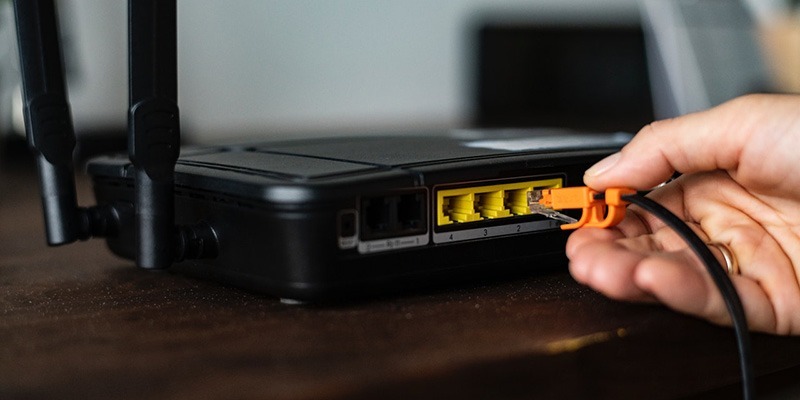 If you have multiple network adapters and want to force one network connection over the other, then you should consider changing the network priority rather than disabling the adapter. Here’s how to do it. Note: to set the priority, we’ll use positive numbers that are higher than zero. The higher the number, the lower the priority. Related: How Fast Does Your Internet Connection Need to Be? 1. Open the Settings app by clicking on the “All Settings” button in the Notification Centre or by searching for it in the Start menu. In the settings app go to “Network and Internet -> Status,” and click on “Change Adapter Options” that appears on the right panel. 2. 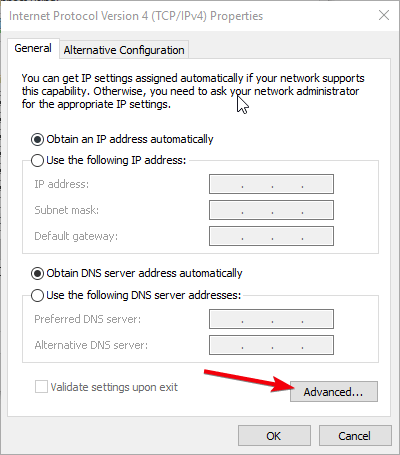 The above action will open the network adapter page in the control panel. Find the network adapter you want to increase the priority for, right-click on it, and select the “Properties” option. 3. In the properties window select the “Internet Protocol Version 4 (TCP/IPv4)” option, and click on the “Properties” button. 4. The network priority option is hidden under the advanced settings. Click on the “Advanced” button. 5. Uncheck the “Automatic Metric” option, and enter a number that is lower than 10. Click on the “OK” button to save the changes. Just for demonstration, I’m entering the lowest possible number – “1” – for my network priority. Generally, Windows uses priority numbers above 20, so anything under 20 priority should be fine. If not, you can always change it to something lower. 6. 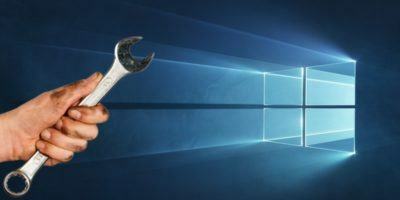 Close all other Windows and restart the system to make the changes take effect. That is all. From now on the higher priority network will be favored over the other active networks. If you ever want to revert back, just select the “Automatic Metric” checkbox in step 5. If you want to, you can also use the PowerShell cmdlets to change the network priority. In fact, if you are comfortable using PowerShell, it is easier than the first method. All you have to do is find the interface index, and set the priority. 1. To change network priority via PowerShell, you need to have administrative privileges. Search for PowerShell in the Start menu, and select the “Run as administrator” option. 2. We need to find out the interface index of your target network adapter. To do that, execute the below command, and PowerShell will list all network adapters. You will see the interface index number under the “ifIndex” section. Note the interface index number of your network adapter. In my case it is 17. 3. 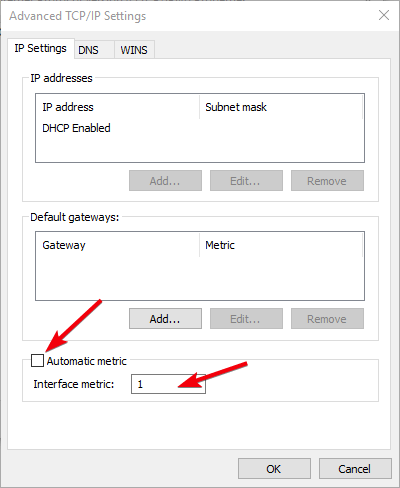 Once you have the interface index number of the target network adapter, use the below command while replacing “INTERFACE_INDEX” with the actual interface index number and “PRIORITY” with the actual priority number that is equal to or below 10. 4. To verify the changes, execute the Get-NetIPInterface cmdlet. As you can see, the network priority has changed from 25 to 10. 5. Restart your system to apply the changes. 6. In the future, if you want Windows to take care of the network priority, simply execute the below command. Remember to replace INTERFACE_INDEX with the actual interface index of your network adapter. If you face any problems or would like to share your thoughts and experiences, comment below.